A capacity crowd enjoyed a merriment of Carnevale style entertainment that mirrored the age of opulence, complete with stunt performers, dancing dolls and a silks aerialist. Dawn Neufeld, co-host of KTXD's The Broadcast, presided over the evening festivities as Mistress of Ceremonies. 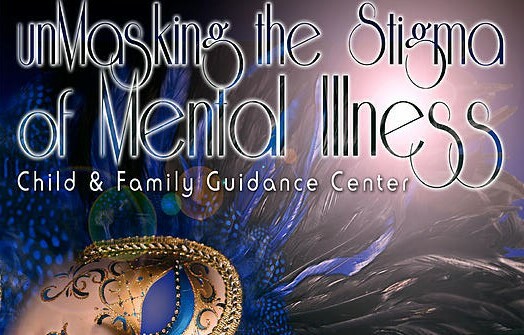 Before dinner began all guests were asked to to reveal their identities in an effort to symbolically unmask the continued misconceptions and false beliefs of mental illness. At dinner guests feasted upon an elegant menu prepared by Wendy Krispin Caterers and enjoyed an after dinner treat of Puccini, performed by Grammy and Stellar Award Winning Artist, Andrea Wallace. It was a roaring good time as we celebrated an evening of "Pizzazz & All That Jazz" on May 17, 2013. Guests enjoyed an exciting night of cocktails, dinner, dancing and a silent auction. We were also proud to welcome special guest Mayor Mike Rawlings, City of Dallas to the festivities. Evening in Marrakesh event benefiting Child and Family Guidance Center. The air was filled with excitement and chatter as guests arrived to a space of vibrant colors, lighted lanterns, and intricate fabrics. 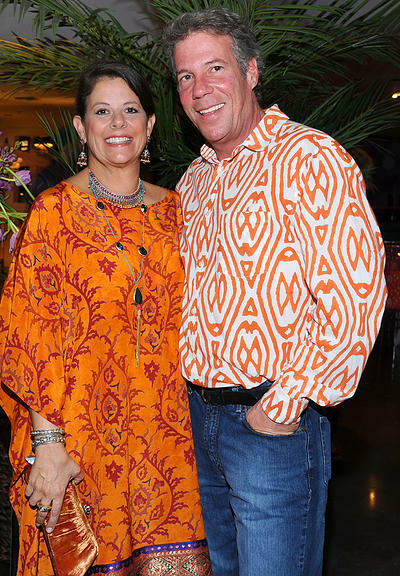 The attire was Sheik Casual, and attendees donned colorful kaftans and tunics, bangles and bright jewels. A dinner of shish kabobs, couscous, hummus, flatbreads, and baklava encouraged guests to fully embrace the Moroccan theme. As guests indulged in a delightful dinner, authentic belly dancers appeared, weaving their way through the tables. Dancing to the live music of Studio 54 lasted until the wee hours of the morning, and the ladies in attendance left with a delightful tote bag filled with donated treats and goodies from local Dallas retailers. 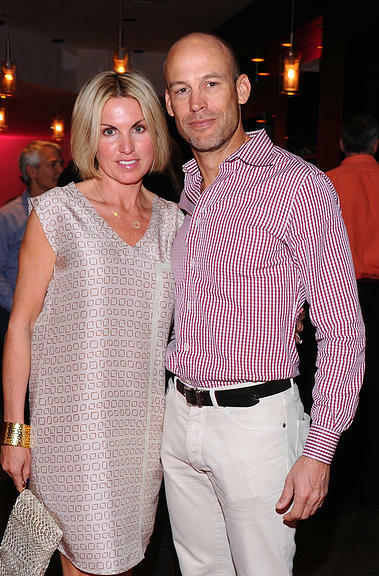 Ruby level sponsors ($25,000+) were: Mersina and Phin Stubbs. Sapphire level sponsors ($5,000 - $9,999) were: Marie and Charles Briner, Claire and Dwight Emanuelson, Muffin and John Lemak, Polly and Mike OToole, Stephanie and John Roberts, and Connie and Marc Sigel/elements. Additional donors included: Tricia Besing, Gina Betts, Betty and Michael Bullington, Janie and David Condon, Holly and Doug Deason, Suzanne Droese, Jennifer and Doug Houser, Lynn McBee, Debbie and Nickey Oates, Susan and Gene Palma, Pam and Vin Perella, and Lisa and John Runyon. Additional sponsors for Evening in Marrakesh include: Cabana, Hail Merry, Gold Crown Valet, Joan Hornig, Neiman Marcus, Nicholson-Hardie, PaperCity Magazine, Paper Place, and Two Sisters Catering.